Today, October 11, Sotheby’s fueled the continued, gripping saga of Banksy’s recent stunt, where he deployed the self-destruction of a 2006 painting of his, just as the gavel banged down on its $1.3 million sale. 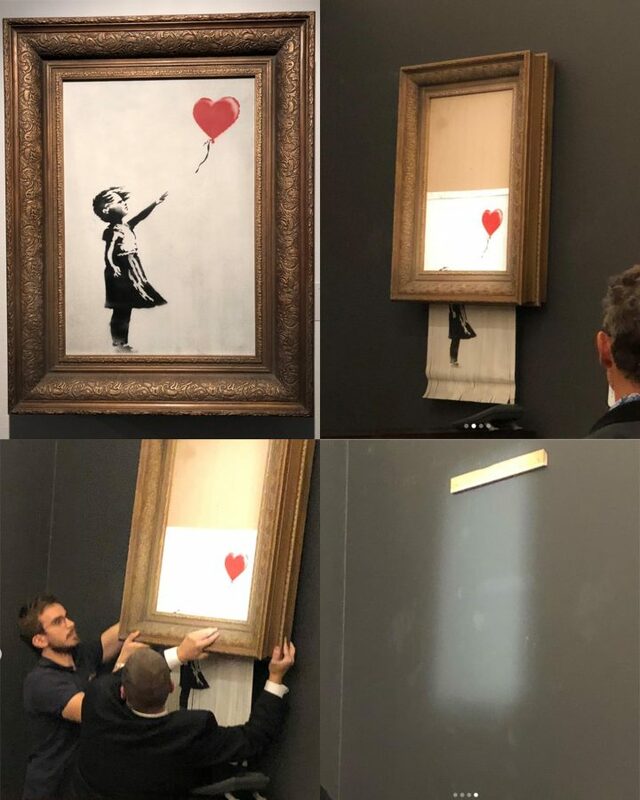 Banksy has “re-authenticated” the painting, originally titled “Girl With a Balloon” (2006). Its post-auction moniker is “Love Is In the Bin” (2018). This may not come as a surprise to most. All sorts of conspiracy surrounding the antics have come about — some have accused Banksy of faking the stunt, while others have accused Sotheby’s of being in on the rouse the whole time for publicity. In a statement, the work’s owner, who remains anonymous, said, “When the hammer came down last week and the work was shredded, I was at first shocked, but gradually I began to realize that I would end up with my own piece of art history.” This decision comes after a week of negotiations. “Love Is In the Bin” (2018) will go on view at Sotheby’s galleries in London on October 13 and 14.